You don’t have to choose between misaligned teeth and metal braces. The expert team of dentists at Dental Studio at Rosslyn in Arlington, Virginia offer discreet teeth straightening with Invisalign® clear aligners. If you want virtually-invisible aligner trays, call or book an appointment online to find out how Invisalign can help you. Invisalign is a revolutionary treatment for misaligned and crooked teeth. By using removable clear, plastic aligner trays, this treatment straightens your teeth without the unpleasant effects of metal braces. Not all dentists offer Invisalign, but the talented team at Dental Studio at Rosslyn are all specially trained in this innovative technique. As certified Invisalign providers, the team can design a customized set of aligner trays that fit over your teeth. Although you can remove these trays to eat and brush your teeth, you must wear them for at least 20 hours a day for optimal results. If your misalignment is severe, the team at Dental Studio at Rosslyn may recommend a different treatment. The best way to find out if you’re a good candidate for Invisalign is to schedule an appointment to speak with one of the dentists. 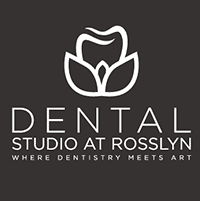 First, one of the dentists at Dental Studio at Rosslyn examines your teeth and evaluates your bite to determine whether Invisalign is the right treatment for you. They may take digital intraoral images or impressions of your teeth. Next, they develop a personalized treatment plan using custom-made aligner trays that gradually shift your teeth into the correct positions. As your teeth begin to move, they make new trays. They repeat this process until you achieve your desired results. To learn more about Invisalign, call Dental Studio at Rosslyn or book an appointment online today.